SQA offers a complete suite of Street Works qualifications for operatives and supervisors working on the roads/highways (reference to the unit specifications can be seen below). 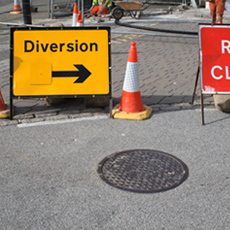 These Street Works qualifications meet the requirements of the New Roads and Street Works Act 1991 (NRSW) which requires work involving the installation, renewal, maintenance and inspection of underground apparatus in the highway to be under the control of competent persons who are in possession of a valid Street Works card. The unit specifications are available to download below, or please e-mail the Construction Team to have copies e-mailed to you. Due to changes in legislation, the card number has been removed from the title. These documents provide information on the requirements of each of the Street Work Schemes, these will assist you to ensure you meet and continue to the meet the necessary criteria. Please Note: Reassessment Units must be assessed by use of preset Multi-choice examination papers which sample the theory of the relevant Street Works Unit. The Examination for each unit must be obtained from SQA.